Planning, preparation and delivery. This collection gives you in-depth advice and practical guidance from experienced teachers and pastors for every aspect of your preaching and teaching. 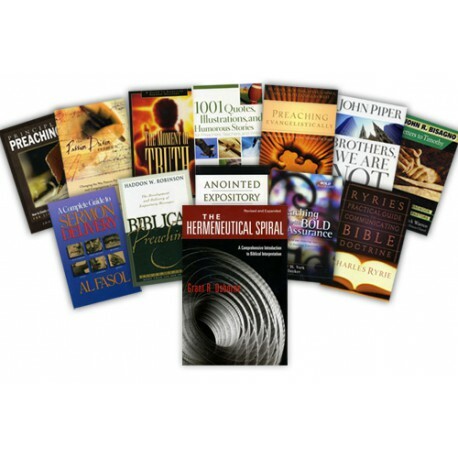 Power up your preaching with this practical and rewarding Thirteen-Volume Collection! The Inspired Preaching titles bring together a high-respected and experienced group of authors, pastors and teachers including Grant Osborne, Haddon Robinson, Stephen Olford, Charles Ryrie and John Piper. You'll be encouraged to focus your teaching on the truths of the Gospel. And you'll learn how to deliver your sermons and lessons in such a way that your listeners remember and respond. 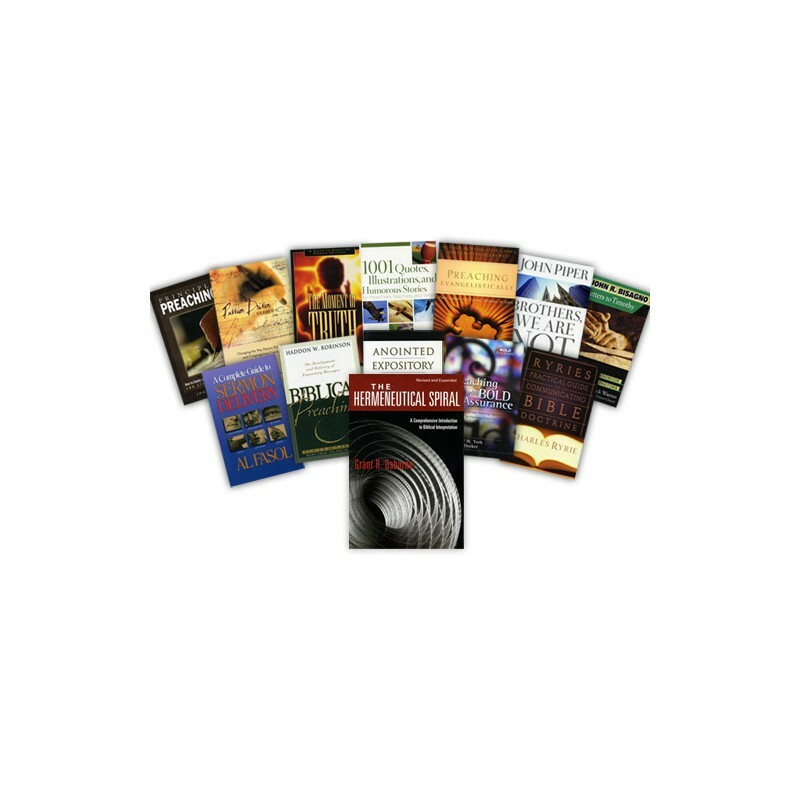 The Inspired Preaching Collection, with The Hermeneutical Spiral bonus title is available on one CD. Grant Osborne provides seminary students and working pastors with the full set of tools they need to move from sound exegesis to the development of biblical and systematic theologies to prepare sound biblical teaching and preaching. 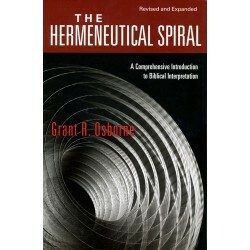 Well-established as the standard evangelical work in the field since its first award-winning publication in 1991, Osborne approaches hermeneutics as a spiral from the original text to context in which the first as well as today's hearers receive and understand Scripture. The Hermeneutical Spiral, the 2006 edition, provides 624 pages of updates to meet the needs of a new generation of students and pastors. A leading textbook addressing general hermeneutics with special sections on: context, grammar, semantics, syntax, and historical and cultural backgrounds. Pastors and preachers appreciate Leadership Journal for real help in improving the quality of their sermons and presentations. 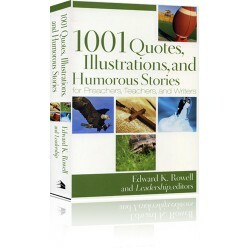 Now, in one volume, you can benefit from Leadership's best quotes and illustrations with 1001 Quotes, Illustrations, and Humorous Stories for Preachers, Teachers, and Writers. It'sa fresh compilation of quotes, idea starters, illustrations, and humor to jump-start or add kick to speeches, sermons, and lessons. This easy-to-use add-on is always ready to contribute when preparing to speak on topics such as gratitude, acceptance or God's love, and is also a pleasure to browse when you need some encouragement. Haddon Robinson's Biblical Preaching has become a modern classic on the preparation and delivery of expository sermons. Much has changed, however, in twenty years and Robinson has undertaken the task of updating his work to benefit a new generation of preachers who will speak to a markedly different world. While retaining the original outline of the book and Robinson's ten-stage process of sermon development, this new edition offers significant improvements. Many of the illustrations and arguments have been updated, the prose has been changed to gender-inclusive language, each chapter is enhanced with suggestions for further study, and the discussions of narrative and inductive preaching have been expanded. In this concise and compelling handbook, respected evangelical theologian Charles Ryrie writes to Bible students and practicing pastors alike about the importance of communicating the doctrines of Scripture. Clearly, he explains why doctrinal truth from the Bible must be a key part of every preacher's message. Using practical illustrations and applications, Ryrie addresses the reasons why so many people neglect doctrine and offers helpful ways of embracing doctrine through the use of major Bible passages, systematic theology, biblical theology, concordances, and more. Seasoned pastor and educator, Jim Shaddix , presents pastors and listeners with a philosophical and theological argument for encountering God's voice with integrity during the weekly sermon event in the local church. The Passion-Driven Sermon gives special attention to theological subjects such as the nature of revelation, the role of persuasion and the effectual work of God's Word. Also discussed are crucial areas such as the biblical foundation, philosophical framework, and practical implications for helping to shape individual listeners and congregations into the image of Jesus Christ. The author addresses numerous neglected subjects such as the purpose of the Bible, the unique roles of the pastoral preacher and his listeners, and the responsibility of preaching and listening for community development. Do you know the three elements of effective preaching? Hershael York and Bert Decker have written a book that will equip preachers to preach with conviction, passion, and in a way that the Word of God engages the audience and grips their hearts. Preaching with Bold Assurance brings the Bold Assurance' concept to the pulpit, giving preachers a practical tool to help them use their minds, mouths, and beings to communicate effectively. Preachers will learn the tools for powerful and effective communication based on biblical truth and proven concepts from the business world so they can preach boldly and skillfully by understanding how God uses us as communicators. Principle Preaching, preaching life-changing principle-based sermons, is the style of preaching that John Bisagno, recently retired pastor, has been using for nearly fifty years in ministry. Now he shows you how to "state, explain, apply, and illustrate" biblical precepts'creating life applications that your congregation can put into practice in their daily life immediately. This content, completely searchable in PC Study Bible, includes more than 40 sermons on characters including Adam and Eve, Noah, Mary and Joseph, Peter, and Pilate. ENERGIZE your speaking. Achieve full vocal production while protecting your voice from short-term'or even chronic'damage. You also will find answers to the ten most commonly asked questions about sermon delivery, find exercises to add depth to your preaching, and add tools to help you evaluate your communication skills. It's everything you need to add power and conviction to your preaching. Dr. Stephen F. Olford, a widely-respected preacher, equips and encourages preachers of all kinds to respect their calling and preach the Word with a pure heart and strong mind. By following Olford's methods and praying for the Holy Spirit's guidance, preachers can effectively exercise the art, science, and spiritual gift of preaching. And, by understanding the preacher's exceptional role as a mouthpiece for God, they can live an exemplary life dedicated to serving Christians and non-Christians everywhere. In Brothers, We are Not Professionals, author and pastor John Piper pleas with his colleagues to abandon the secularization of the pastorate and return to the primitive call of the Bible for radical ministry. Piper maintains that pastors are being killed by the professionalizing of the pastoral ministry. The mentality of the professional is not the mentality of the prophet. It is not the mentality of the slave of Christ. Professionalism has nothing to do with the essence and heart of Christian ministry. The more professional pastors long to be, the more spiritual death they may be subject to. Professionalism is often at odds with childlikeness, tenderheartedness, and panting after God. The world sets the agenda of the professional man; God sets the agenda of the spiritual man. The strong wine of Jesus Christ explodes the wineskins of professionalism. After nearly fifty years in ministry, Letters to Timothy is John Bisagno's retirement gift to younger and older pastors alike. A voluminous and comprehensive work, it is full of useful advice to ministers covering the "things that might have fallen through the cracks in seminary." This book is a practical manual covering all aspects of pastoral life for clergy in churches of all sizes, locations, and denominations. What is the point of preaching? With so many agendas competing for pulpit time these days, it can be easy to forget the exact purpose of our calling'to proclaim God's salvation through Jesus who died and is now resurrected. Preaching Evangelistically looks at the different elements of gospel preaching and how they are best used to effectively proclaim Jesus. These elements include: sermon setting, text selection, preparation, preaching with biblical authority, giving an invitation, and "Hiding Behind the Cross as You Preach." Includes three examples of evangelistic sermons from Al Fasol, Ralph Douglas West, and L. R. Scarborough. In The Moment of Truth, Dr. Wayne McDill helps you discover how to make the maximum impact on your congregation from the pulpit, how to reach out to them with love and authority, and even how to fine tune your sermon on-the-fly based on the reactions of your listeners. Using the method he has taught for nearly twenty years, McDill presents detailed steps for understanding how to read an audience by studying their faces and body language and how to respond to their subtle reactions and get your point across with power and confidence. His simple, yet specific techniques will help you cultivate a dynamic, compelling preaching style that will penetrate and persuade even the toughest audience member. Theologically based and filled with practical applications, The Moment of Truth teaches preachers at every skill level how to make their special moment in the pulpit a profound moment of truth, turning people's hearts to the glory of God. Pastors and preachers appreciate Leadership journal for real help in improving the quality of their sermons and presentations. Now in one volume, you can benefit from Leadership's best quotes and illustrations with 1001 Quotes, Illustrations, and Humorous Stories for Preachers, Teachers, and Writers.